Jeff Foley approaches business the same way he did when he spent two summers working as a race car engineer: with hard work, an appreciation of the art of managing risk, and an enjoyment for taking things apart, figuring out how they work, and putting them back together again. A strong believer in perseverance, grit and teamwork, Jeff has an innate ability to scan the path ahead and foresee where the challenges lie, no matter how complex the undertaking. Throughout his career, he has taken calculated risks: The first took him from engineering to consulting; the second to a startup, where he helped grow a small, five-person consultancy into a thriving business. A third leap of faith allowed him to leverage that startup experience in building his own company, Propeller. Jeff is an entrepreneur, drawn to building something larger than he is – something great. In co-founding Propeller with Amy Weeden, Jeff created a place where he can indulge his passion for solving problems and helping people succeed. He has 20 years of experience in consulting and business implementation, with previous roles at ACME Business Consulting, Intel, Arthur Andersen and Ernst & Young. 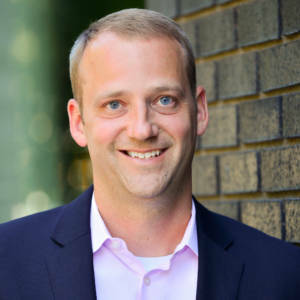 Jeff holds an MBA from The Fuqua School of Business at Duke University and a bachelor’s degree in mechanical engineering from Southern Methodist University.